Recently I stumbled upon an amazing documentary called The Farthest about the Voyager spacecraft and their grand tour of the solar system. You know the hub-hub caused as New Horizons flung past Pluto and we got to see that proto-planet close up for the first time? Voyager did that with Jupiter, Saturn, Uranus, and Neptune. 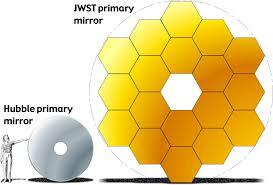 With two spacecraft shot out during a convenient syzygy. 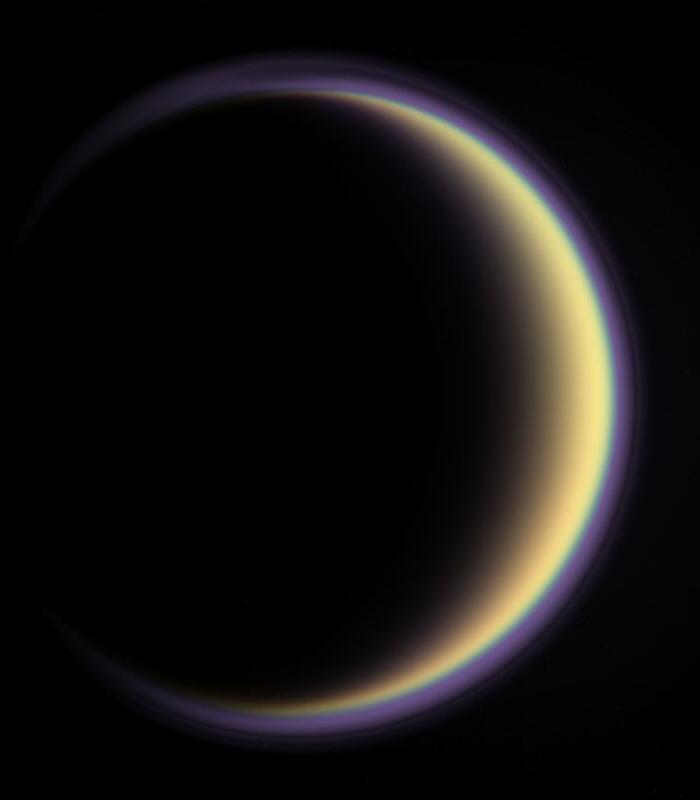 I suspect there will be another spike for Cassini over the next week, since it crashes into Saturn on Friday night, twelve years after it's companion Huygens decended onto Saturn's moon, Titan. I perceived Voyager through the lens of a growing boy. 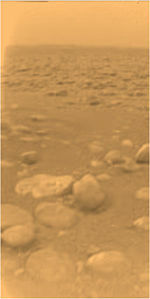 Cassini I have appreciated while I've grown as, and I'll use this term today, a software engineer. One involved with project management. I've been reading about Cassini science for a long time, enjoying stunning photos as Cassini loops around the Saturnian system, and learning from from this project during my entire programming career. This is quite possibly one of my favourite images from space of all time. Of all time. Eat it, Kanye. I find crescents poetic; interesting information can be garnered from such perspectives; the atmospheric haze; the exotic colours; the distance involved; the engineering required; the timing. I stand in completer awe of the planning, project management, engineering, communications, politics, and pure passion that has been involved in making this one of the most successful multi-decade projects in humanity's history. That's a mighty statement, but I believe it shares space with some undeniably society changing projects across the ages. Multiple nations were involved - NASA built Cassini while ESA built the Huygens probes that landed successfully on Titan soon after arrival. All this while communicating information back to Earth with a 70 minute communication lag. And this is the sort of project that can inspire the future generation of STEM students. And it's not alone, there are more amazing projects on that way destined to keep doing so. What can replace this satiation? Hubble is aging, and next year NASA will launch a telescope that makes Hubble look small, and will be the one to stun us with new information for years to come, no doubt related to exoplanets as it studies the infrared spectrum it will see while hiding in the Earth's shadow, 1.5 million kms away. 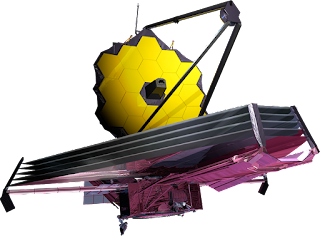 No corrective lens surgery from charismatic spacemen for this one..
Not only that, the James Webb Space Telescope reminds me a little of a star destroyer from Star Wars. Space exploration is a nett gain for humanity. If you're not convinced by that statement, listen to this interview with David Grinspoon, and pay attention when he describes the lessons learned about CFCs while studying Venus, or the concept of nuclear winter while observing dust storms on Mars. NASA/JPL also have a great hall of fame. To get a sense of the now, I've been watching related Twitter feeds over this past week, and I feel for all the people involved in the Cassini/Huygens project. Today is @CassiniSaturn flight team's final 8 AM status & scope meeting where reports are about a live spacecraft. I'm expecting tears. Expecting tears? Heck, I shed a tear for you. Need humour? Check out this interaction between the dude with the mohawk, Bobak Ferdowsi and Sarcastic Rover. Yep, that's a thing, and it's a great feed. Need to believe scientists can be more than just boffins, here, same guy. Stand proud, Cassini team, and thanks for all the pics.